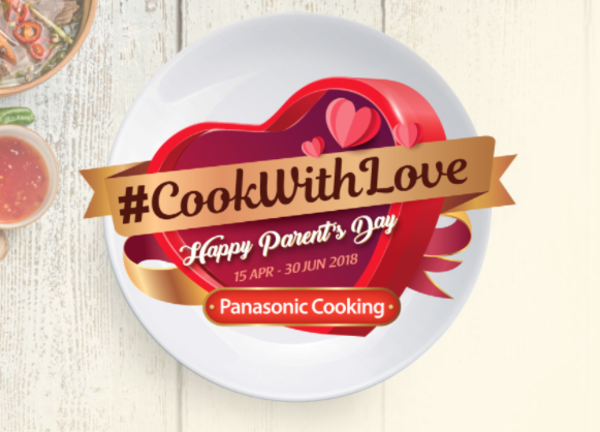 CookWithLove Happy Parent's Day Contest, Its time to show your love to your parents on Parent's Day. Cook together with them and stand a chance to win great prizes! i. Spend a minimum of RM80 on any of the participating Panasonic Cooking Products within the period of 15 April - 24 June 2018. Selected winners are required to present the proof of purchase (receipt) to redeem the prizes. iv. Upload the photo to your Instagram. v. Participants may submit as many entries as possible per round but will only be entitled to win ONE (1) prize.